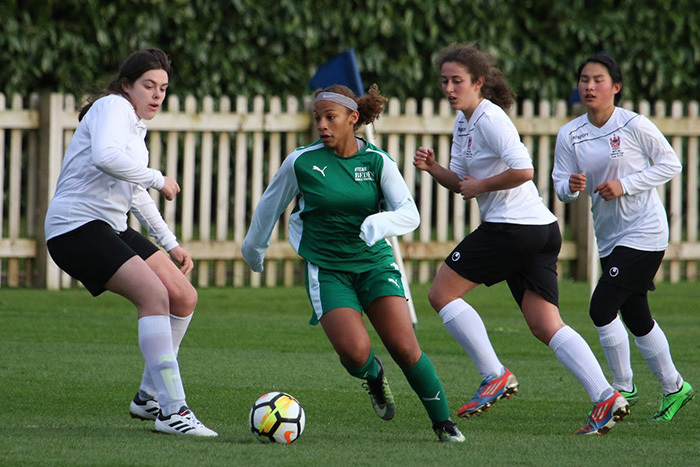 Bermuda’s Leilanni Nesbeth made a very impressive showing, scoring four times for Bede’s as they recorded a 6-3 victory against Alleyn’s School in the ISFA U18 Girls Cup Final England. Their match report said, “On Monday 30 April 2018, the Bede’s U18 Girls Football team travelled to Bisham Abbey National Sports Centre in Berkshire for the Smith Construction ISFA U18 Girls Cup Final against Alleyn’s School. “Bede’s emerged triumphant with their 6-3 win and were named 2018 champions of the competition. Bede’s goal scorers were Lower Sixth pupil Leilanni Nesbeth  and Upper Fifth pupil Leila Emmerson . David Byrne, Director of Sport and Bede’s Girls U18 team coach, says, “The girls have worked incredibly hard in training and it’s fantastic to see this pay off with a well-deserved win at this high-profile tournament.